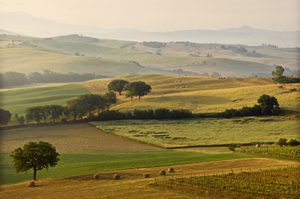 Once home to Leonardo da Vinci, Galileo, and Michelangelo, the breathtaking region of Tuscany extends from the sparkling Tyrrhenian Sea to the snow-capped Apennine Mountains. This valley cradles some of the most enlightening sensual experiences Italy and Europe have to offer–whether your passion is good food, breathtaking views, or fine art, you’ll find something to inspire you under the Tuscan sun. One of the most amazing areas of Tuscany is the coastal city of Viareggio, which hugs the crystal clear waters of the Tyrrhenian. 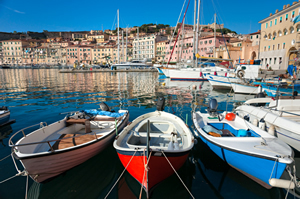 Founded during the 12th century, this little piece of Tuscany is credited with the production of some of the world’s most beautiful yachts. The city’s love of boats and access to the water keep its seaports overwhelmed by boats of all shapes and sizes, making this a seafarer’s paradise. The area is also home to one of the highlights of any trip to Italy – Carnivale. This tradition, which occurs during February and March, is a European favorite. The entire town embraces it, offering themed menus at restaurants while the larger-than-life papier-mâché floats dominate the streets to the delight of spectators. The busiest tourist season is typically during late spring (around April to May) to the beginning of fall (around September). It’s no surprise that Tuscany is such a popular destination in Italy: Renaissance-era buildings and farm homes dot the vineyard-lined hillsides, and some of the world’s best Italian food and wine are to be found here. Italy is one of the more affordable countries to visit in Europe. Tuscany is also famous for its museums, some of which are home to great works such as Michelangelo’s David, Botticelli’s Birth of Venus and Primavera, and Lippi’s Madonna and Child with Two Angels. Public transportation is quite common within the province, providing travelers the opportunity to meet locals and allowing them to taste more of the atmosphere. With many authentic, local restaurants and villas to choose from, Tuscany’s visitors can easily find something to enjoy. It is possible to get from one end of the region to the other within a few hours via bus, train, car, or bike, so exploring is not a challenge. In the shadows of the Duomo, Florence is well known for its commerce. Within this beautiful and cultural center of the city, shoppers can find everything from designer boutiques to local artisans creating handmade trinkets, making it easy to find a perfect gift to complement a beautiful trip. In the medieval microcosm of Siena, wine connoisseurs (or those who would like to be) can enroll in the Tuscan Wine School, a two-hour crash course that teaches wine basics like tasting, reading labels and recognizing native grapes while sampling the area’s best-known wine – Chianti. © Copyright 2013 Travmarket. LLC. Explore Tuscany with Sceptre Tours! 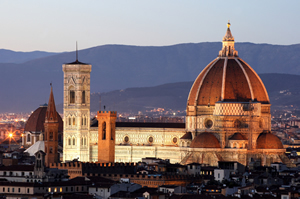 TUSCANY EXPERIENCE– Experience the sensual beauty and rich history of Tuscany with a 5-night stay in the 14th-century Villa Casagrande, wine tastings and cooking classes, full-day guided tours of cities like Florence and the Chianti region and a visit to the Accademia Gallery, home to Michelangelo’s David and countless other priceless works of art. TUSCAN CULINARY ADVENTURE– This six-night stay in Villa Pittiana offers culinary hopefuls the opportunity of a lifetime: cooking lessons with Italian masters, including a hands-on pizza making session. GREAT WINES OF TUSCANY– Oenophiles will love this six-night stay on a 14th-century estate, complete with two dinners and wine tastings at two producers of Tuscany’s finest wines.